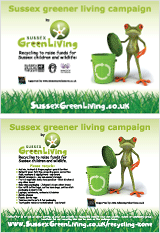 There is no doubt that more families in Sussex than ever before are trying to live a green life these days. The availability of online information and environmentally friendly products mean that it is now possible to live a green life without making huge efforts or sacrifices. However, this seems like a good moment to consider how far Sussex residents have come in making their homes as energy efficient as possible. A recent piece of research by energy provider npower, with the help of data from the Energy Savings Trust has provided a fascinating heatmap. This map shows us how good homeowners across the country are at making sure that heat doesn’t escape from their properties. The results across the country are a bit of a mixed bag but one trend that appears clear is that of a worrying North South divide. In this case, the homes in the south of the country are among the poorest in the UK when it comes to conserving energy. Sussex isn’t exempted from this, with over half of the homes in the region in need of upgrading to stop wasting as much energy. It is interesting to look at the map as it appears to show up that it isn’t just economic factors or geographic location that determines whether a householder is likely to properly insulate their home. In fact, across the whole country the figures are a little bit depressing. Why Don’t More People Fit Insulation to Their Homes? 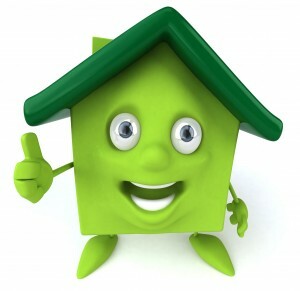 With there being such a lot written and spoken about going green these days it seems a bit of a surprise to find that across the UK as a whole less than half of the householders surveyed had their homes adequately insulated. There is an abundance of information available about the benefits of insulating the home, for example on the npower site which details how loft insulation works and the savings it can bring you on your energy bill. A survey carried out by npower gives us some answers as to why more people don’t fit insulation. The biggest group among those who answered stated they can’t afford to do so. This group made up 46% of the overall number of people questioned. 36% put their lack of insulation at home down to too little government support. Sadly, there is still also a sizeable group of people that thinks that having an energy efficient home simply isn’t a big enough concern for them to do something about it. The truth of the matter is that the 36% of UK householders who blamed a lack of Government help probably need to find out more about schemes such as the Green Deal and the Energy Companies Obligation initiative, also simply known as ECO. This sort of incentive has been designed with the idea of letting people make their home more energy efficient at little cost or even for free. This makes it a lot easier to get it done than ever before and should be a great relief to the 46% of people who worry about not having the money to carry out these improvements. It would be nice to think that by now most Sussex families are aware of the importance of not wasting energy at home. It can’t be argued that it is a hot subject these days on the TV and in the newspapers, but perhaps this is still a good opportunity to put out how important it is to have a highly energy efficient home. For a start, adding cavity wall insulation to a semi-detached house can save £145 a year on energy bills. In a green sense, this would equate to a massive 600kg of carbon dioxide saved over the course of a year. With the full insulation costs it could take 3 of 4 years for the fitting of this insulation to pay for itself, while the ECO Government scheme can make it a money saver right from the very start. The same sort of money saving and positive environmental impact can be found when we look at the benefits of loft insulation. Another positive step is to fit a new and more efficient boiler. This can lead to even more savings, with £300 or more being the type of saving possible with this change. Let’s not forget that having a home that wastes little energy means that you get other benefits as well. For a start, you can live more comfortably. It is amazing how much more enjoyable it is to return to a warm house and not need to pile on layers on clothes while you are in it. We would all love to live in a warm, cosy house. It turns out that many of us could do so without a huge amount of effort and without spending too much money on it either.